150 years ago the United States was locked in a four-year war that would determine the shape and fate of the nation. Family fought family, sometimes brother against brother, in an epic struggle as Johnny Reb battled Billy Yank during America’s Civil War. “Let’s Talk About It” is a five-part reading and discussion series that will examine events that led to the start of the war, dissect the period and the attempt to understand its aftermath. The sessions will be led by Patricia H. Burke, Curator of the Ocean County Cultural and Heritage Commission. The first session, “Imagining War,” will use Geraldine Brooks’ novel “March” to understand the pre-war era. It will be held Tue. Jan 24 at 7 p.m. Copies of the novel and other books used in the series will be available for pickup at the Barnegat branch. “Let’s Talk About It” was developed by The American Library Association Public Programs Office. Ocean County Library is one of 50 libraries in the nation selected to host the series. “Let’s Talk About It: Making Sense of the American Civil War” is funded by the National Endowment for the Humanities through the American Library Association as part of its “We the People” initiative, which promotes scholarship, teaching, and learning about American history and culture. All these program are free and open to the public. Registration is required for the “Let’s Talk About It” series. For more information or to register telephone the operator (732) 349-6200 or (609) 971-0514 or visit the library’s Web site www.theoceancountylibrary.org . Food Network’s celebrity chef Aaron Sanchez, author of “Simple Food, Big Flavor: Unforgettable Mexican-Inspired Recipes from my Kitchen to Yours” will discuss his book and share samples from some of his recipes at Ocean County Library’s Barnegat Branch Tue. Oct. 11 at 7 p.m.
“For this book I decided to take all my incredible flavor memories and distill them into magical sauces, purees and pastes that you can keep in the fridge or freezer and pull out whenever you want to turn a simple collection of ingredients into a seriously tasty dinner,” Sanchez said. Those flavor-base recipes range from fragrant to fiery and savory to sweet. He guides readers through an introduction to their usage in main dishes adding tips on their ingredients, techniques, variations and storage. “With patience and a little know-how, even the simplest dishes could be spectacular,” he said. The co-star of Food Network’s series “Chefs vs. City,” Sanchez is the owner and executive chef of restaurant “Centrico” in New York City. The son of Mexican-cooking authority Zarela Martinez, Aaron’s passion, commitment and skills have placed him among the country’s leading contemporary Latin chefs. For more information or to register for the program contact the Barnegat Branch (112 Burr St.) by telephone (609) 698-3331 or online www.theoceancountylibrary.org . The Barnegat branch hosted a visit from best-selling children’s author, Tom Angleberger on Star Wars Day (May 4) . To the delight of everyone in attendance, the amiable Mr. Angleberger chatted with local kids and parents, gave instructions on how to create his wildly popular “Origami Yoda,” and previewed his two newest and upcoming books, “Horton Halfpott” and “Darth Paper Strikes Back.” The author of “The Strange Case of Origami Yoda” appeared at the library via the video chat program, Skype. Children were able to see the author and ask questions. “The Strange Case of Origami Yoda” is a winner of the E.B. White Read-Aloud Award as well as the 2010 Cybils Award for middle grade fiction. The Barnegat branch of the Ocean County Library, 112 Burr St., will offer a six-week series of classes to help people prepare for the US Citizenship test. Students will receive a copy of the citizenship test. Each session students will go over questions and will go over how to spell and write English words and sentences. Knowledge of the English language is the most important part of passing the test! The program is free but registration is required- you are signing up for all six sessions to be held Tuesday nights at 7 p.m. starting May 10th and ending June 14th. 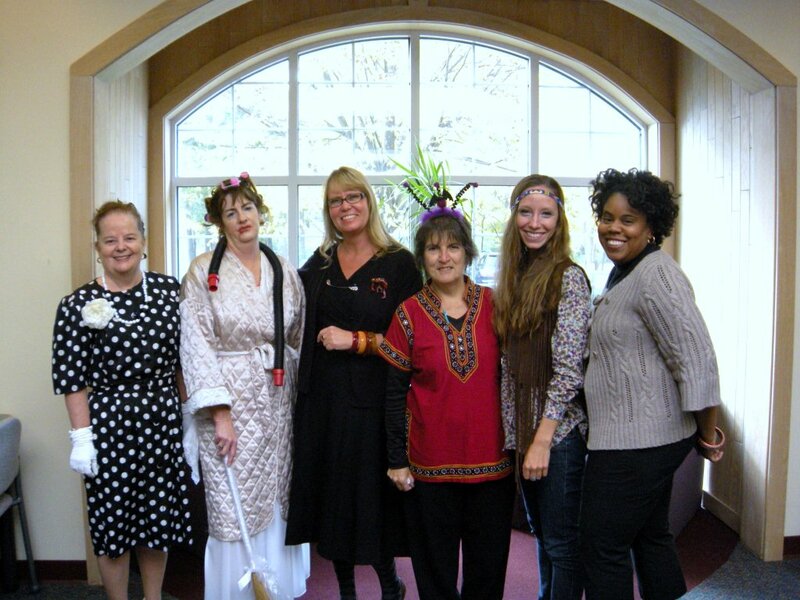 The Barnegat branch of the Ocean County Library, 112 Burr St., will host the Barnegat Garden Club’s plant swap Saturday May 7. Bring in your plant and trade it for a new one, or up to five. Plants can be dropped off at 10 a.m. and the swapping begins at 11. All plants must be labeled, healthy and securely wrapped. A free table will be available for donations of small tools, seed packets, books and small gardening decorations. This program is free an open to the public. No registration is required. For more information call the branch at (609) 698-3331 . 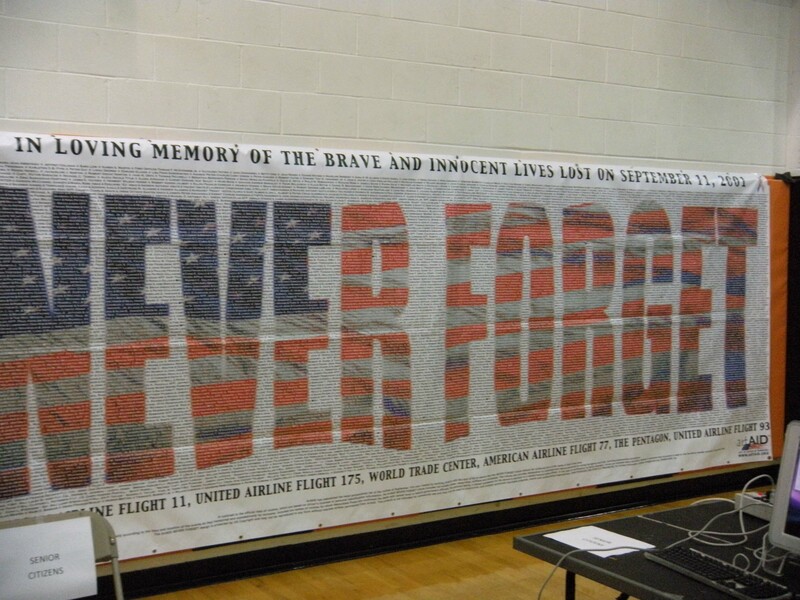 Barnegat: Patriotism Would Not Be Dampened! It was a rainy and stormy Wednesday, but December 1st will be remembered in Barnegat Township as the day we hosted the Patriot Flag and honored the 911 First Responders. 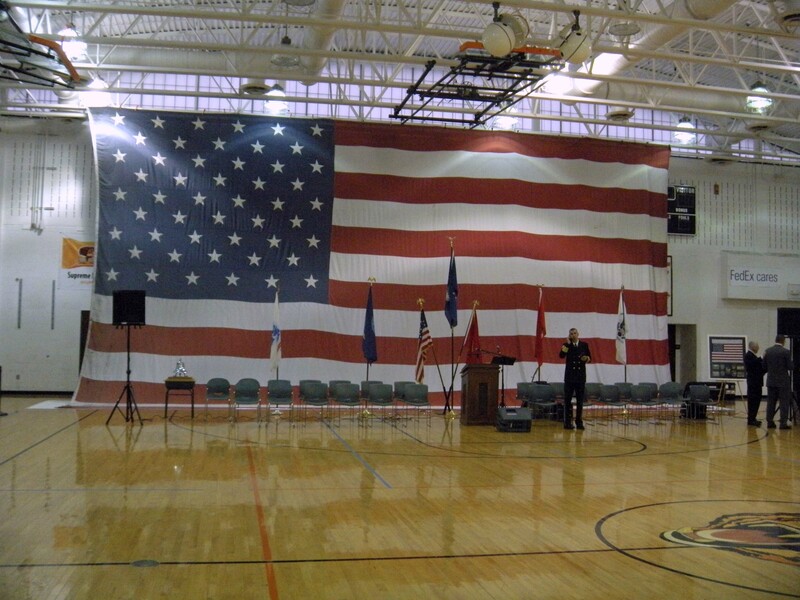 The Patriot Flag was hung in the high school gym and measures 30’ X 58’. The flag will visit every state including Washington DC and Shanksville, PA. It will appear at Ground Zero in NYC on the 10th anniversary of the attacks.